Dubai-based developer Danube Properties has awarded a Dh300-million ($81.5 million) contract for the main construction works on its new residential projects to the UAE’s Naresco General Contracting (Naresco). 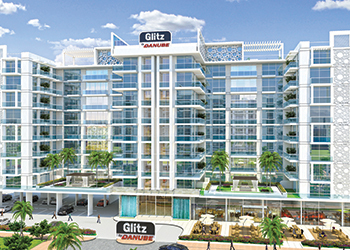 Shoring and excavation work has been completed on Glitz 1 and Glitz 2 at Dubai Studio City, which offer 300 luxury apartment units ranging from studios to three bedrooms. At present, work on both sites is four months ahead of the planned schedule and a combined workforce of over 500 people is expected to execute the construction work during peak season. Additionally, Atlas Foundation has secured the earthworks contract for Glitz 3, the latest project by Danube, and is currently undertaking mobilisation work on the site. Shoring and excavation work on the Glitz 3 development was scheduled to commence late last month (August). Rizwan Sajan, founder and chairman of Danube Group, says: “We are delighted to report that all our sites are progressing brilliantly, this is in line with our commitment to deliver quality construction on time. Our aim to provide high-quality modern living accommodation in aesthetically-pleasing surroundings is moving a step closer. The Glitz projects, launched just eight months ago, are completely sold out, he says. Glitz 3, only launched in June of this year, has enjoyed equal success with Phase One and Two fully sold out. Currently, Danube Properties has a book value of Dh1.2 billion ($328.77 million) worth of successful projects with over 157,935 sq m under construction. “When investors make financial commitment in off-plan property, it is very important that they are kept thoroughly informed about the progress being made on their property,” says Rizwan.